In a few days, RK Nair will be going to Kathmandu to collect yet another award – Glory of India Award – for creating in his home country, India, 40 forests across seven states. On a Sunday evening phone call, he names the states – Rajasthan, Gujarat, Andhra, Bengal, Chhattisgarh, Karnataka and Maharashtra. Gujarat has been home for years, the land that made him rich, an entrepreneur running three garment companies. But there’s no Kerala on his list, the ‘rajyam’ where he was born. “I went away as a child of four, from Periya – that’s in Kasargode,” he says, speaking near flawless Malayalam with the tinge of an accent, from decades of living elsewhere. The family had moved to a Mangaluru village, and built a home in the middle of rubber estates. RK Nair – Radhakrishnan Nair – went to school till he failed in Class 12 and then like many men did in the '70s, took off to Mumbai in search of a job. He worked in a medical store as a salesman, a hotel next and then a garment shop as a supervisor. He must have done something right for he got promoted as factory manager, and then he moved to Gujarat, to a village called Umbergaon. “It’s a coastal area in the Valsad district. It is famous for being a favourite location for film and TV serial shooting. There are also many textile industries here. I worked as factory manager of one for ten years,” RK says. It was also the time when he became socially active, attending the programmes of the Kerala Samajam. He began to help tribal students with their education. But as he got more involved in social work, he could not manage his regular job. He left his job, and then set up a company of his own – Shree Paurnika Exports that would later become Shree Paurnika Exports Private Ltd. “There are three factories now, and 450 employees, dealing with readymade shirts,” he says. RK Nair’s love for trees began six years ago, when during a road project in Gujarat, he saw 175 trees being felled, and a bird nest with little baby birds falling to the ground. “It put a knot in my heart. I had to do something. I bought a piece of land with a partner and we decided to use the Japanese methodology of Akira Miyawaki to plant 1500 trees there.” Akira Miyawaki, a Japanese botanist, is known for his methods of restoring native forests on degraded soils. RK and his partner contacted the Japanese team. “A team came to teach us the method,” RK says. 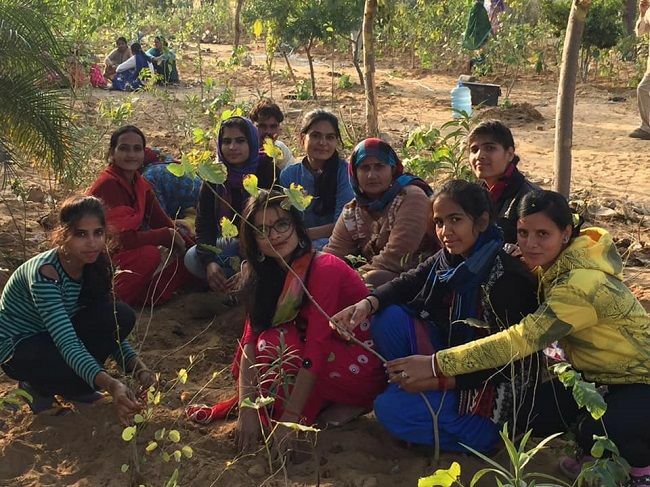 That first little forest was planted on one acre of land in Umbergaon. Seeing the quick growth of the forest, RK got a call from Maharashtra to create something similar on a chemical dumping yard. He did so. In 2016, he planted 32,000 trees belonging to 38 varieties, which have now grown into a forest, housing birds. “I learnt that if we help nature, nature helps us back. There were so many medicinal plants in these forests growing all on their own,” RK says, with the wonder of a child. His work began to get noticed, he had won an award already – the Vasundhara award from the Maharashtra government – and more states began calling him. The Chhattisgarh government called him to create a forest containing one lakh and three thousand trees. RK speaks like a true nature lover as he describes the island they made on water, and the beautiful view of the place you get from there. 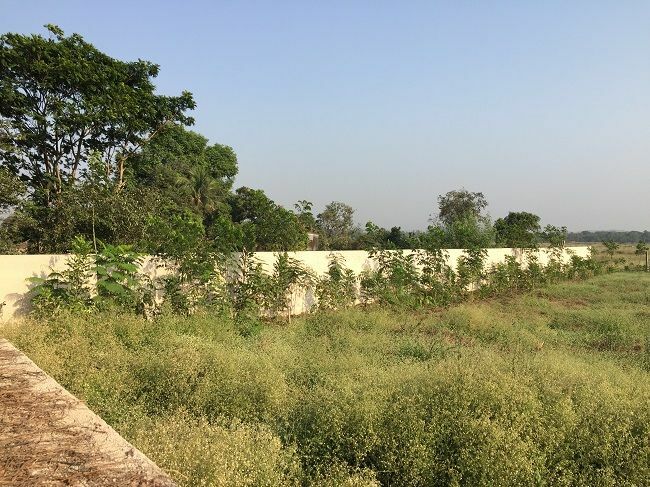 In Andhra the Miyawaki method was adopted for yet another urban dumping yard. In Bengal, RK’s team built a forest in Durgapur. Forests were also made in Rajasthan. “It is more than six lakh trees now across seven states. I know you would ask why is Kerala not there, the land where I was born. I have lots of love for my homeland but no one has invited me to plant trees in Kerala. There are some clubs that call, but it would be a temporary arrangement to make some headlines in the next day’s papers. I won’t go unless people take all the responsibility – will it be maintained, who will take over the expenses, and there are other factors like the fencing, water connectivity and all that. I can bring the technology. But the trees should live on, become a forest. It should not be a one-day arrangement for some publicity," he asserts. 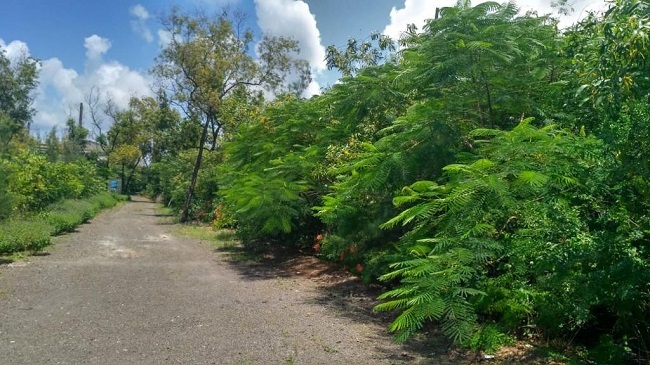 He is now involved in a project, creating a forest for the martyrs of the Pulwama attack, with 40,000 trees belonging to 40 varieties, in 40 days. “It is called Pulwama Shahid Vann,” he says.